JACKSON KUAN (Flushing) - Book Appointment Online! Staff was friendly office was clean, not over crowded.Dr. 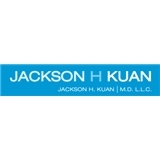 Kuan was clear and informative I will be completing a procedure with him the very next day after my initial appointment and will be following up for treatment.